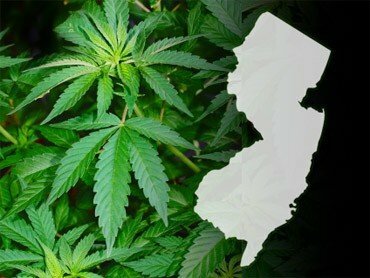 A New Jersey panel today approved expanding the state’s medical cannabis program by including several new qualifying conditions. The Medicinal Marijuana Review Panel voted to approve to use of medical cannabis for those with anxiety, irritable bowel syndrome, Tourette syndrome and chronic pain related to muscular skeletal disorders. This would allow those with these conditions to legally purchase, possess and use medical cannabis products, given they receive a recommendation from a physician and register with the state. Unfortunately the panel voted against recommending medical cannabis for those with asthma and chronic fatigue. The New Jersey Health Department will now post the panel’s recommendations on their website for 60 days; during this time a public hearing will take place, after which point the panel will submit a final recommendation to Health Commissioner Cathleen Bennett; Bennett has the final say on whether or not the conditions are officially added to the program. Currently the qualifying medical cannabis conditions in the state include multiple sclerosis, Lou Gehrig’s disease, terminal cancer, muscular dystrophy, inflammatory bowel disease such as Crohn’s disease, and any terminal illness. More information on New Jerseys medical cannabis program – which is widely considered one of the most restrictive in the nation – can be found on the Department of Health’s website by clicking here.